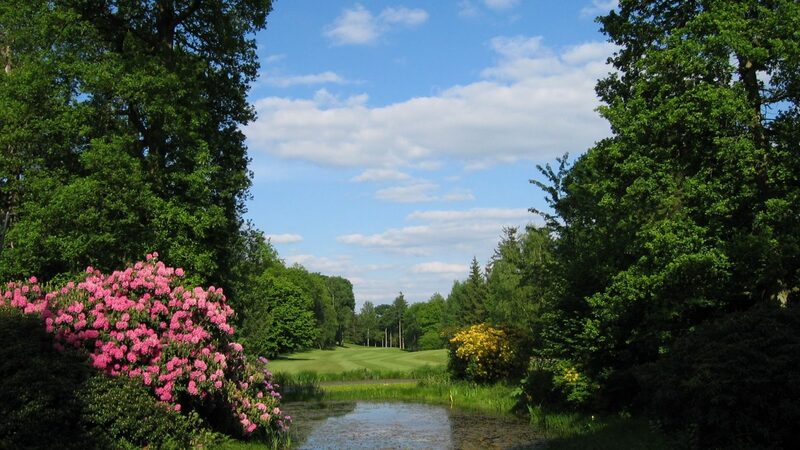 Nestling in the picturesque foothills of Surreys’ Hogs Back, Puttenham Golf Club is a gently undulating 6,220 yard par 71 18-hole course with a stunning mixture of heath and woodland. In early summer the colour of the azaleas and rhododendrons on the 12th and 13th in particular are a spectacle not to be missed. The predominantly sandy soil means the course is usually dry underfoot and drains quickly in wet weather, providing excellent playing conditions all year round. In the event of a hot dry summer, Puttenham has on-course fairway watering which allows us to maintain the high standards of course condition that we set ourselves. Originally formed in 1894, Puttenham is a mature, challenging course with a combination of tree lined fairways and fast undulating greens, that force you to think your way around a layout where no two holes play the same. With a beautiful course, excellent food and a warm welcome Puttenham truly is the ideal venue for your Golf Society Day. We have a dedicated Society Co-Ordinator who will help make the experience of organising a golf day as stress free as possible, assisting you every step of the way from your initial enquiry all the way through to when you leave the club on the day of your event. We offer bespoke golf society days tailored to the individuals needs, enabling you to choose exactly what you require to make your golf day as pleasurable and enjoyable as it can be. Bespoke golf day packages tailored to each societies requirements. Prices start from £35. Puttenham Golf Club is situated opposite the Harvester Inn on the B3000 just off the A3 and A31 south from Guildford (signposted Godalming/Puttenham). For satellite navigation use postcode GU3 1AL.